SAN FRANCISCO (Reuters) - Uber has agreed to pay up to $100 million to settle a class-action lawsuit which resolves a major challenge to its business model by allowing the ride-hailing service to keep its California and Massachusetts drivers as independent contractors. The lawsuit had claimed that Uber [UBER.UL] drivers are employees and thus entitled to reimbursement of expenses. Out of the $100 million proposed payment, $84 million is guaranteed to drivers. Uber could also pay an additional $16 million, but only if the company's valuation grows by 150 percent above its December 2015 financing round within a year after any initial public offering. Uber was valued at $62.5 billion in that December funding round. The settlement is similar to a separate agreement announced with Lyft drivers earlier this year, though the Uber agreement is much larger given that Uber has many more drivers. Over 450,000 U.S. drivers currently use the app each month, Kalanick said in the blog post. 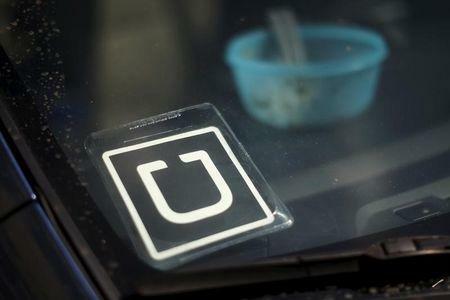 The Uber deal must be approved by U.S. District Judge Edward Chen in San Francisco.